The Minden & District Horticultural Society invites you to our September General Meeting. 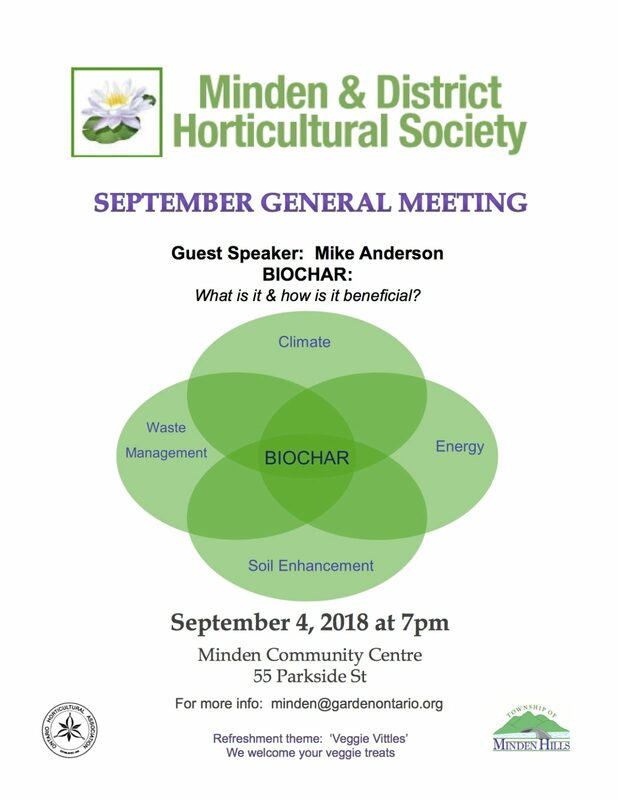 Our guest speaker this month is Michael Anderson from the Haliburton BIOCHAR facility. Mike will be talking to us about the origins of biochar, its endless uses, biochar research and biochar as a soil amendment. The refreshment theme is ‘Veggie Vittles’ and we look forward to sampling your veggie treats.